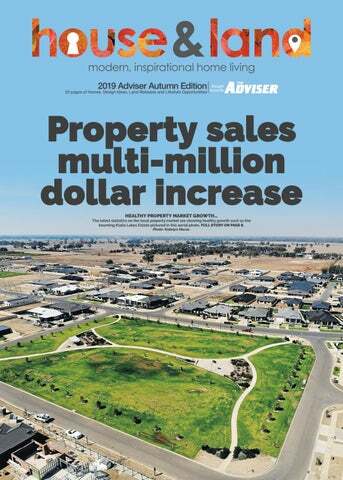 The latest statistics on the local property market are showing healthy growth such as the booming Kialla Lakes Estate pictured in this aerial photo. FULL STORY ON PAGE 8. Photo: Katelyn Morse. HERE is a new trend making the rounds that has been engineered specifically for DIYers…purpose built timber wall panels. A simple way to bring dimension, texture and warmth to your home, the easy DIY wall panel range is made with lightweight planks with an adhesive backing, so you can simply ‘peel and stick’ on to most wall and ceiling surfaces. This type of wall surface can be used in a variety of ways to create symmetry, continuity and style in your home. 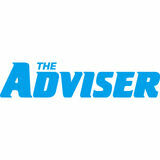 ENTERS and tenants need to be aware of their obligations when renting. They also should take safeguards to protect their interests. Here are some guidelines to follow to assist in navigating and understanding some of the issues you may face and how to address them. your spirit level. If they’re not, measure 50cm down the wall from the ceiling and make a pencil mark. Then use a chalk line to snap a level line across the wall that you can use as a reference when installing the planks. STEP 5: GET A POLISHED FINISH Install a metal trim for exposed corner walls for outside corner walls or window openings, use a metal trim for a polished finish. Remove the adhesive at the back of the metal trim and secure into place. STEP 6: ADHERENCE TEST Test one plank on the prepared wall to ensure the panel adheres to the wall correctly. STEP 7: START APPLYING THE PLANKS Apply one plank at a time by removing the adhesive strips and sticking it to the wall. To assist with adhesion, use your roller, applying lots of pressure. Note, always work on one row at a time, either horizontally or vertically. STEP 8: ENSURING A CLEAN INSTALL Cutting panels to fit wall edges, around power outlets measure the space that needs to be covered and then measure the same dimensions on your panel, marking with a pencil so you know where to cut. Then use your hand or jigsaw to cut the plank to size. Remove your adhesion strips and apply to the wall (refer to step 4). DO A THOROUGH CONDITION REPORT A reliable condition report can assist you greatly in the event there is a dispute between you and the landlord in relation to any damage to the rental property. Take photos of the property at the start of your tenancy, particularly of any damage present and keep those photos with your condition report. You should also consider engaging a professional building inspector to assist you in completing the condition report. Check all the electrical appliances and plumbing in the property are in good working order. You may also wish to consider what the costs of replacing fused light bulbs in the property would be, and enquire if the landlord will be responsible for such replacements. A MODERN TREND… Purpose built timber wall panels are the latest trend in modernising your home. Photo: Supplied. STEP 9: ENJOY! Wait for the adhesion strips to cure for at least 72 hours prior to hanging any frames or artwork. Admire a job well done. CHECK THE TENANCY AGREEMENT CONDITIONS AND OWNERS CORPORATION RULES Do not rely on representations from the agent with regard to what you are allowed to do with the property, for example whether you can keep pets there, sub-let the property to another person or smoke inside. If you require certain things as part of your tenancy, make sure they are written into the tenancy agreement itself. They may be listed as ‘special conditions’ in the agreement. If you intend to live in an apartment complex, it is good practice to review the owners corporation rules carefully before you sign up to a tenancy agreement. These rules can be quite restrictive – and sometimes unexpectedly so. For example, some rules may provide that clothes must not be hung on the balcony or that only curtains of a certain colour may be used, to maintain the aesthetics of the building. +29 LOCATION IS EVERYTHING… Gagliardi Scott Real Estate director, Rocky Gagliardi is encouraging everyone to consider the Stage 4 at Sanctuary Park with its convenient location near the school. Photo: Katelyn Morse. TRUSTED LOCAL EXPERTS… From left, CC Blinds at Carpet Call carpet/ flooring specialist, Lee Frost, window covering specialist, Michelle McDermott, tile specialist, Caroline Mohi and manager, David Mohi. Photo: Ash Beks. AMILY owned business Carpet Call Shepparton is a trusted local name in tile and flooring retail, providing customers with exceptional customer service for more than 35 years. Further to the great range of National Business owner and store manager, Tiles and Carpet Call options available, Caroline Mohi said, “CC Blinds products the business also offers CC Blinds, can help achieve the required energy affording customers a one-shop rating and add UV protection to homes. experience for all things flooring and “We offer our clients a free on-site windows. measure and quote, and as the blinds CC Blinds are efficient for both winter are produced in Victoria, we are able to and summer, as they keep the heat in turn around orders quickly, usually in a and the cold out. These long lasting, couple of weeks.” easy to clean blinds come in a large CC Blinds can be made to order in range of colours with many different any size and quantity, with all window fabric options available. sizes available. For your free on-site There are block out blinds, screen measure and quote, visit the friendly blinds, vertical blinds, panel glides, team today at National Tiles, 8001 roman blinds and shutters. External Melbourne Road, Shepparton or phone awnings for outside the house will soon 5823 5066 for more information. be available. WE ARE all beginning to feel the oncoming chill of winter, but before it arrives, now is the time to reinvigorate your lawn. If you want to have the best looking lawn in the street, you need to get busy and set your lawn up for the cold days. FERTILISE If you only feed your lawn once a year, do it in spring; if you only fertilise twice a year, do it in spring and autumn. Feeding now will green your lawn up ahead of winter also make it stronger and better able to resist damage from extreme cold, even frost. THE FUTURE OF TATURA IS HERE… With 10 lots already sold, Youngs & Co director, Glenn Young says Tatura Waters is going to be a popular change of lifestyle. Photo: Ash Beks. WATERING It can be easy to overlook the lawn drying out at this time of year. Windy weather can be just as drying as a hot day. Make the most of any rain or water you do apply by using soil wetter as it will improve water penetration significantly. MOWING Mowing frequency will decrease as growth slows. In autumn, your lawn is storing energy for winter so and growth/mowing frequency should drop. Ensure you clear leaves to allow your lawn as much sunlight as possible leading into the harsh winter. TIP: If your lawn doesn’t need mowing but leaves are a problem, raise the cutting height of your mower to the limit, fit the catcher and use it like a vacuum cleaner. WEED WATCH Weeds are generally not problematic in autumn but there’s one pesky variety that needs to be dealt with now. Did you find your lawn full of bindii prickles in summer? Now is the time to take action - it’s an annual weed that starts its growth in autumn. Way more than just sand and dirt! and Gravel, 420 Numurkah Road, Shepparton, or call them to discuss your needs on 5831 3002. $9,669,021. When comparing from July 1, 2018 to March 2019 with the same period in the years prior there has also been a significant increase in new dwellings being built. From July 1, 2018 to March 2019 there were 266 new dwellings built coming to an estimated cost of $84,758,417. From July 1, 2017 to March 2018 there were 253 new dwellings built coming to an estimated cost of $74,549,599. Endless options when building a new home BUILDING YOUR DREAM… Local Hotondo Homes builder, Colin Mintern at the site of Hotondo Homes’ new display home, currently under construction on Sanctuary Drive in Kialla Lakes Estate. Photo: Alicia Niglia. ITH over 40 years’ worth of knowledge and expertise, Hotondo Shepparton’s Colin Mintern knows a thing or two about choosing the dream home. The expert builder has shared a few tips and tricks he’s learnt along the way. “Building a home can be exciting “For many people, the kitchen is the and overwhelming, especially if you’re heart of the home, they spend a lot looking for a block of land as well, there of time in there so it’s important it has are a few things you need to consider. all the extras. Plus, it can be difficult Choosing a house and land package and expensive to update cabinetry, should be the first step; does it suit your benchtops and splashbacks regularly, lifestyle? Is it close to amenities? Is it on so they’re the things some people a sloping block? Hotondo Shepparton splurge on.” can help with all of that,” Colin said. Hotondo Shepparton has an option Once you’ve found the perfect to suit every lifestyle and once you’ve package, you can start to consider the settled on a design, Colin can guide options. Colin says while every client’s you through the entire process. needs are different, many homeowners “I really love being part of the journey choose to save on some big-ticket with the homeowners, there’s nothing purchases and splurge on others. better than seeing someone’s dream “No one likes to compromise but come to life,” Colin said. when you’re making one of the most To begin your new home journey expensive decisions of your life, every with an experienced local builder, visit dollar counts, so some people choose Colin and Sue Mintern and the Hotondo to save on items that can be updated Homes team at their display home at down the track, for instance appliances 67 Sanctuary Drive, Kialla, or give them and furniture,” Colin said. a call on 5831 2250.
have been several deaths from CO poisoning. As part of its 2019 campaign, the VBA Plumbing Audit Program is inspecting newly-installed gas heaters across the state, checking for correct installation and CO leakage. The three-month audit program follows last year’s statewide education and testing program of appropriately registered and licensed plumbers to ensure they have the skills and awareness of issues that can arise from incorrectly installed or poorly maintained gas heaters. HEAT UP YOUR HOME… Shepparton Barbeques Galore owner, Jason Bathman invites the community to come and try out their huge range of heaters available. Photo: Katelyn Morse. FAMILIAR FACES… From left, Godfrey’s store manager, Joe Lefevre, Provincial Home Living team member, Emily McEachern, Fantastic Furniture team member, Dyleana Duckmanton, Pets Domain sales assistant, Leah Panettieri and Focus on Furniture sales assistant, Cara Wayland. Photo: Katelyn Morse. an entry form for your chance to win a share of $25,000 or a $5,000 holiday voucher. Shepparton Home is home to many participating businesses in the 2019 GMCU $30,000 Giveaway. the market, burning up to three times cleaner than the national standard for emissions. “Plus, we offer services to new and existing customers to ensure they’re never left in the cold.” Barbeques Galore has all your heating needs covered. Head in-store today to check out their large range of wood and gas heaters at 202 Corio Street, Shepparton, or phone 5821 0550. Spend a minimum of $10 and fill out an entry form for your chance to win a share of $25,000 or a $5,000 holiday voucher. Barbeques Galore is a participating business in the 2019 GMCU $30,000 Giveaway. HEN you are investing in a shed, barn or garage, you need assurance that you’re getting a quality product that meets the ‘Australian Standards.’ Prestige Garages & Sheds are an authorised Fair Dinkum Sheds distributor who are able to achieve this for your requirements. Fair Dinkum Sheds are constructed from genuine Bluescope Steel COLORBOND® products, and are ‘Shed Safe’ accredited backed by the Australian Steel Institute giving you the peace of mind that you are receiving a shed that meets and complies with the Australian Standards. With the new innovative ‘Site Check’ software we are able to ensure your building is structurally compliant. IF YOU’RE GOING TO DO IT, DO IT RIGHT... Prestige Garages & Sheds business owner, Darryl Barrett provides ShedSafe certified Fair Dinkum Sheds. Photo: Katelyn Morse. to start with the floor. It’s one of the largest expanses of space in a home and will set the tone for the rest of your furnishings. The Moroccan look has warm, spicy undertones and an earthy feel, so seek out flooring in a warm neutral shade with plenty of texture. Timber flooring works equally well in a Moroccan scheme; again, opt for timber with warm undertones. Complete the look with a medley of bright, patterned rugs and cushions, buffed leather accessories, decorative pendants and woven wall hangings. Another trend that translates well to Australian homes is the Botanical look, which is all about bringing nature inside. The result is a fresh, relaxed look that’s easy to love. A pale timber floor with cool undertones creates a soft, easy-to-live-with foundation for this look and contrasts beautifully with its rich, forest greens. Or, for a sumptuous feel underfoot, opt for carpet that is a textured, light neutral with flecks of colour that pick up on the tan and taupe tones in a Botanical scheme. The key to making this look work is not to overfill the space – you want it to feel light and airy. Get the luxe look this autumn IF YOU are updating your furniture this autumn and need to stick to a tight budget, there are a few things to consider to ensure you get the luxe look you desire. WORK OUT HOW MUCH YOU CAN AFFORD Before you get started on updating furniture in your home, consider which rooms you would like to update. Work out a rough budget for each room and write a list of must-update and concentrate on those furniture pieces first. Work your way to other rooms of the house as you can afford and your budget allows. If you adjust your expectations in the beginning to fit your budget it will make it easier to make purchasing decisions. LESS IS MORE Change things up a bit and bring a breath of fresh air to your interior décor. Recycle unwanted pieces of furniture you no longer need and start to de-clutter. Book a collection if the pieces are totally worn and are unable to be re-used. Add functional and affordable contemporary touches to your interior and keep it light and spacious. Remember less is more. STREAMLINED SERVICE… Dahlsens Shepparton is one of the largest manufacturers of pre-fabricated roof truss and wall frames in Australia. Photo: Supplied. of building materials to builders, from ‘foundation to fit-out.’ Visit Dahlsens today at 94-96 Drummond Road, Shepparton or call the friendly team today on 5831 6620. FOCUS ON CURRENT TRENDS Moody tones are current trends for autumn as the weather cools and winter approaches. But be careful not to make your room look too dark and mix it up with light timbers and a splash of colour. Smooth velvets are still popular with rich deep blues adding real luxury in furniture pieces like armchairs, sofas and beds. Grey and black hues are popular in winter and work well with dining suites, bookcases, bar stools and sofas. Add contrasting tones such as bold cushions and lush green indoor plants to complete the luxe look. FOCUS ON THE BEST VALUE FOR MONEY While it may take up some of your valuable time, looking for the best value for your money could save you hundreds of dollars. Victoria’s solar revolution set to continue M EFFICIENT ENERGY EXPERTS… From left, Future NRG clerical officer, Rebecca Humphreys, director, Graeme Lamb, director, Shaun Gash, sales, Dean Rankin and general manager, Brendan Power alongside the Future NRG Mobile Innovate Energy Hub. Photo: Katelyn Morse. ORE than 30,000 Victorian households have embraced the Andrews Labor Government’s landmark Solar Homes program, reducing their power bills and helping supply more energy to our electricity grid. Recently the 10,000th rebate was paid, taking savings for Victorian households to more than $21M since the program opened last August. Due to the immense success of the program, and with rebates now almost fully subscribed, Solar Victoria will accept a final 2,000 applications for solar panel rebates this financial year. The second phase of the $1.3B Solar Homes program will begin on July 1 this year, offering Victorians even more rebates for solar panels or solar hot water. This will also mark the start of the government’s no-interest loans offer, which will allow households to install solar with no upfront costs, as well as solar panels for 50,000 rental properties and 10,000 solar batteries. HEN considering buying or building your dream home or business, you want to make sure you do everything possible to save on energy costs. Future NRG favours a holistic approach to energy efficiency, which does not rely on a single service, product or technology alone. Offering more than just solar to figure what solution is best for them.” solutions, Future NRG offers customers Future NRG will also have their a complete energy solution to ensure Mobile Innovate Energy Hub featured everything in your house runs smoothly at the Eldorado Off-Grid Living Festival and cost-efficiently. All elements of the on Saturday, May 4. The mobile energy build are considered and the trained, hub affords participants the chance accredited and equipped team of to look at how the hot and cold water experts can help every step of the way. systems, air conditioning, batteries and Future NRG is also battery storage solar work, all powered by their own specialist. The team will look at your designed and built off-grid system. building plans to see if energy gleaned For more information, visit Future from solar panels can be saved for later NRG online at www.futurenrg.com. use in battery storage, offering even au or in person at 7957 Goulburn further savings. Valley Highway, Shepparton. To start Future NRG director, Graeme Lamb your energy savings journey, give the said, “We tailor to the customer and try friendly team a call today on 5823 5481.
or get Poolwerx to check and complete your pools shut down for the colder months, making sure you are safe and clean for summer ahead. They can bring this service to you, or you purchase everything required in store and do it yourself. Poolwerx is located at 53 Archer Street, Shepparton. For more information, visit their website online at www.poolwerx. com.au or give the friendly team a call on 5822 4291. Spend a minimum of $10 and fill out an entry form for your chance to win a share of $25,000 or a $5,000 holiday voucher. Poolwerx is a participating business in the 2019 GMCU $30,000 Giveaway. KEEP WARM IN THE SPA THIS WINTER… From left, Poolwerx coowner, Craig Henry, retail manager, Row Thompson and co-owner, Rosie Henry are offering a huge sale on spas. Photo: Katelyn Morse. MORE THAN JUST PAINT… Shepparton Paint Place manager, Paddy Kyne is proud to present their huge range of Graco paint spray equipment and accessories. Photo: Katelyn Morse. FFERING more than just paint and DIY solutions, Paint Place is also a stockist and authorised repairer for Graco and Wagner paint spray equipment. No job is too big for the team, with we want you to be able to get straight a speedy turnaround on locally fixed back to the job.” repairs for many of the handheld and Further to their spray equipment, electric airless paint sprayers in stock. Paint Place also has a vast range of There is also a great range of spare paint brands available. And hurry quick parts and extra fittings available. for your Easter holiday DIY projects, as Shepparton Paint Place manager, Paint Place is now offering 20 percent Paddy Kyne said, “We have a huge off selected paint brands, running range of spray equipment in stock, today until April 27. not only just for tradies but also retail Spend a minimum of $10 and fill out equipment and great stuff for DIY. an entry form for your chance to win “Paint Place will set up the spray a share of $25,000 or a $5,000 holiday equipment for you so it’s ready to use voucher. Shepparton Paint Place is straight away. We won’t hand you a a participating business in the 2019 mixed box of parts to be assembled; GMCU $30,000 Giveaway.